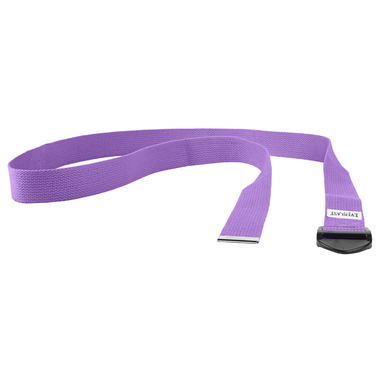 The Everlast Yoga Strap helps increases flexibility and provides maximum comfort. Good quality material and love the color! Definitely recommend. Great product so far! Helps to get deeper into those back bending stretches! The metal D ring doesn't dig into my ankles which is a plus!